Do ya’ll love chocolate as much as I do? 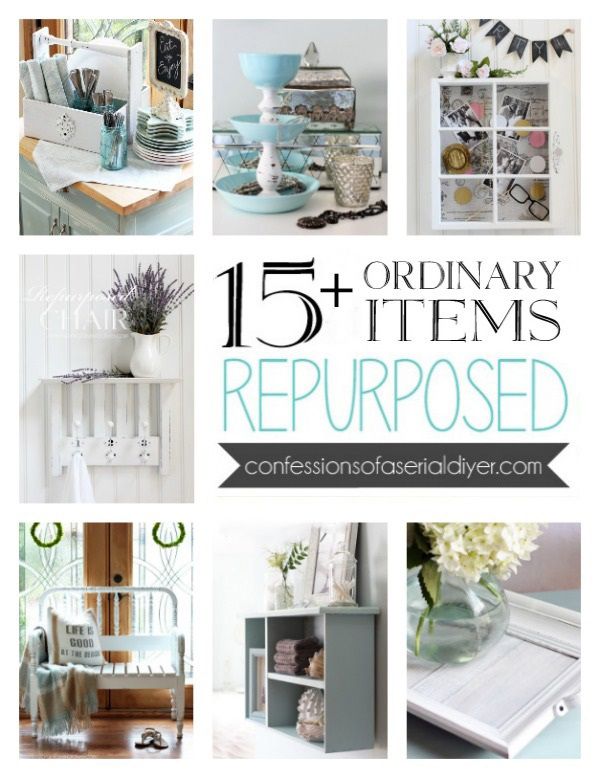 There are few things I love more, but how about as a theme for a furniture makeover? 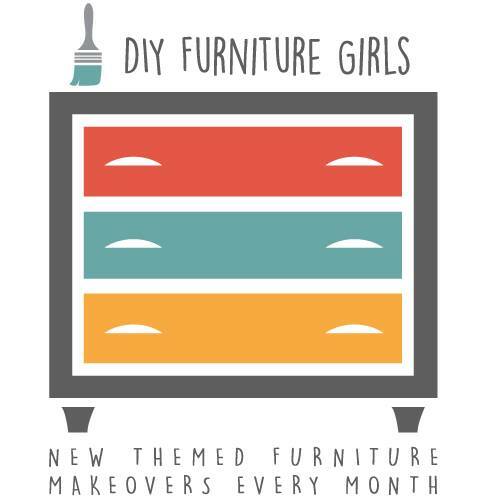 Today my furniture flippin friends and I are all sharing furniture makeovers inspired by chocolate. Say what? 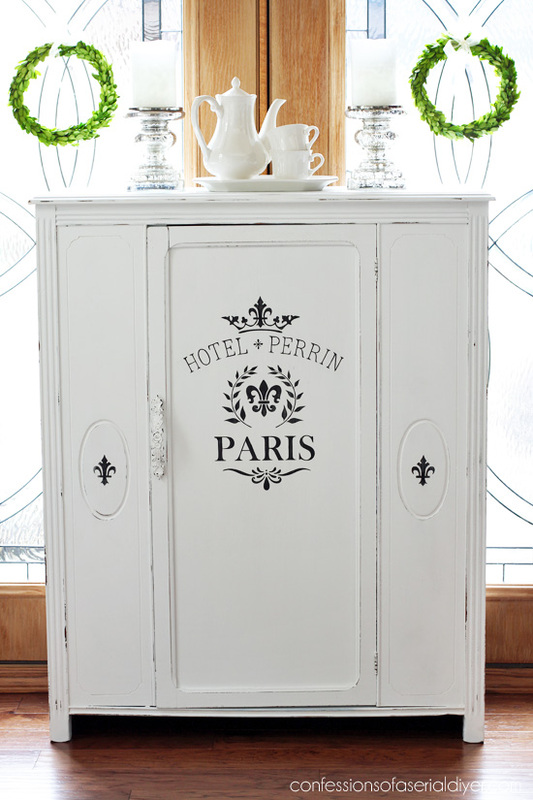 And what would be a better way to translate romance to a piece of furniture than a French love letter stencil? Pretty, right? Okay so it’s not brown like chocolate…but how about white chocolate? 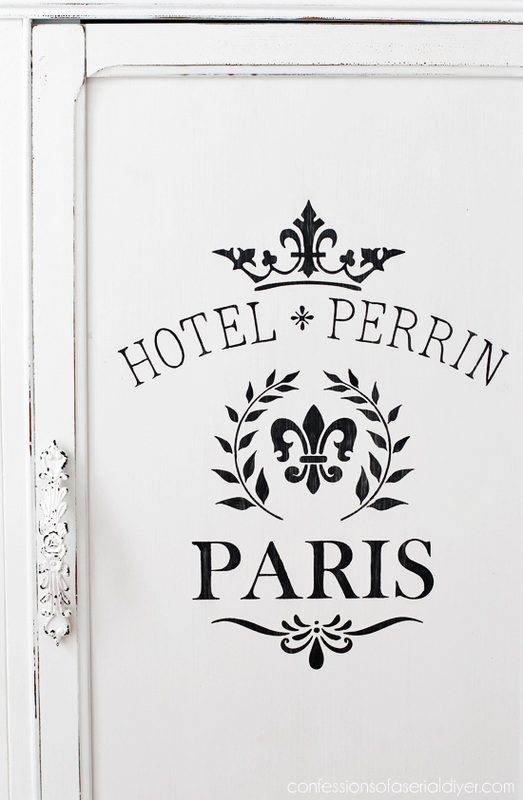 And hmmm that does NOT look anything remotely close to a French love letter on the door there. This piece gave me quite a bit of trouble though. I was almost out of my tried and true Bulls Eye Clear Shellac, so I was headed to the store to pick up some more since I knew this older piece would likely be a bleeder. It was unseasonably cold for our area so I was reading the recommended minimum temps to be used in when I saw on the label that they had another product they suggested for painted pieces. It was their shellac-based white primer. Perfect! Oh no it was NOT perfect at all. 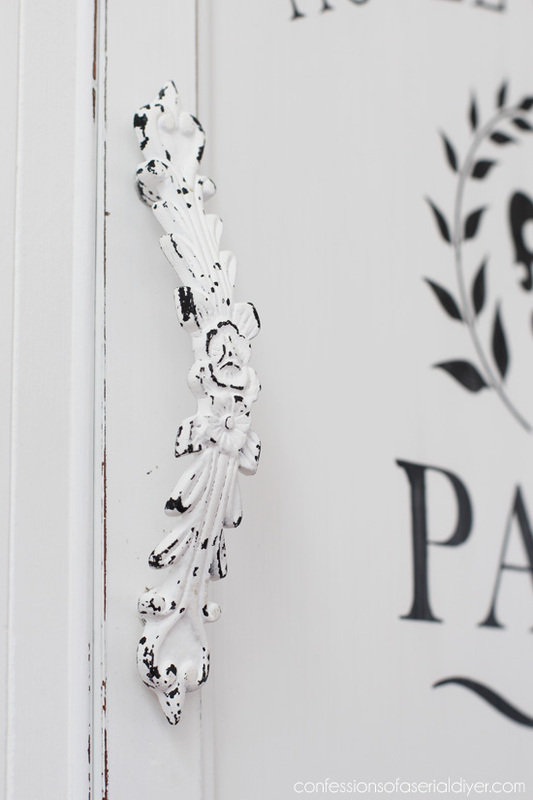 I applied a coat of that first, then my DIY chalk paint in Pure White (Behrs white right off the shelf). Bled through. I gave it another coat of the shellac primer and a coat of chalk paint, bled through. I gave it a coat of regular old white Zinsser Primer and a coat of chalk paint and guess what? It STILL bled through. Know how I fixed it? 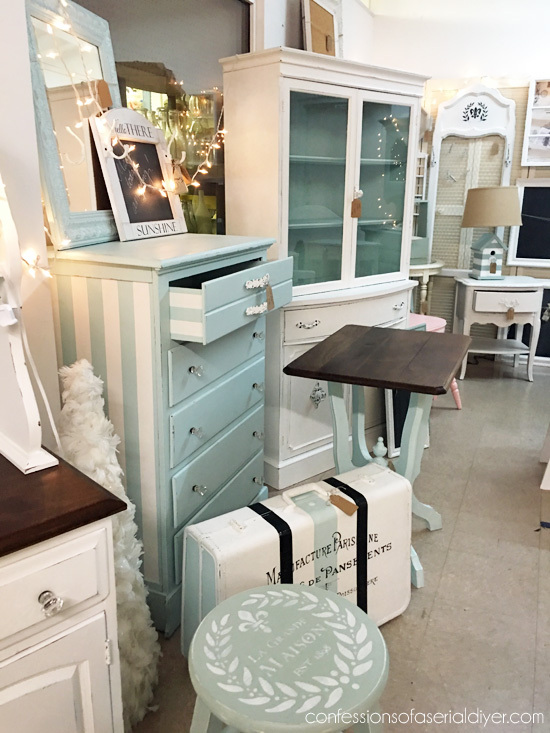 I finally decided to wax the darn thing with Annie Sloan’s clear wax, and then applied my chalk paint over that and the heavens opened up and the angels sang! It worked. I could have kiss that wax! It might have just been this particular piece and whatever that gunk was that had accumulated on the surface, but next time I’m going straight for my regular ole clear shellac! By the time I got to the stencil on the door and it looked so awful, I knew I had to stop right there and switch to something tried and true. Stencils are the easiest way to achieve this look for the least amount of effort. I used spray adhesive to temporarily adhere my stencil to the surface of my project. (Spray the stencil, not the project surface.) It should not stick permanently or leave any sticky residue. Then I used the smallest brush from this 3-piece nylon brush set to fill in the stencil using acrylic paint , brushing away from the edges. After allowing the paint to dry to completely, I sanded using 220 grit sand paper and sealed with Annie Sloans’s clear soft wax. The handle is a perfect match, found at Hobby Lobby. I adhered it with matte Mod Podge . I brushed it on like a glue, and added the fabric over top. To make it easier to cut the fabric straight for panels like this, I always use my rotary cutting set . I kept the rest of the inside a simple white. 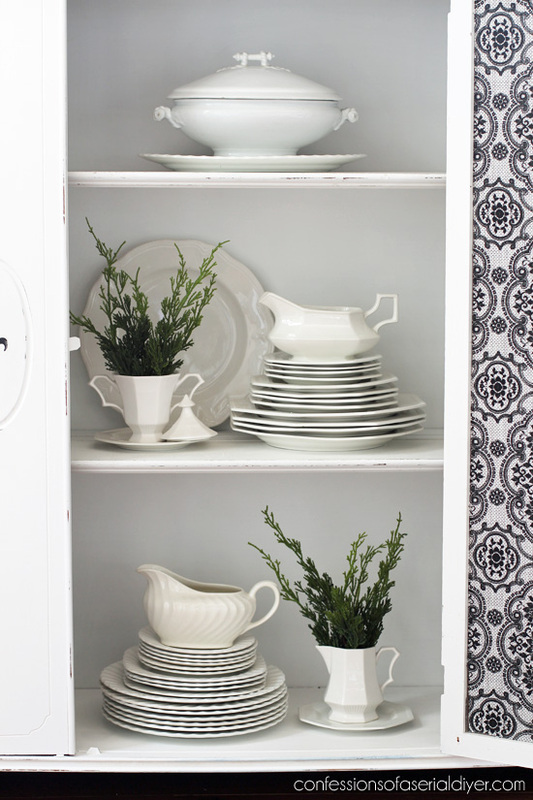 My thrifted ironstone looks so pretty in it. 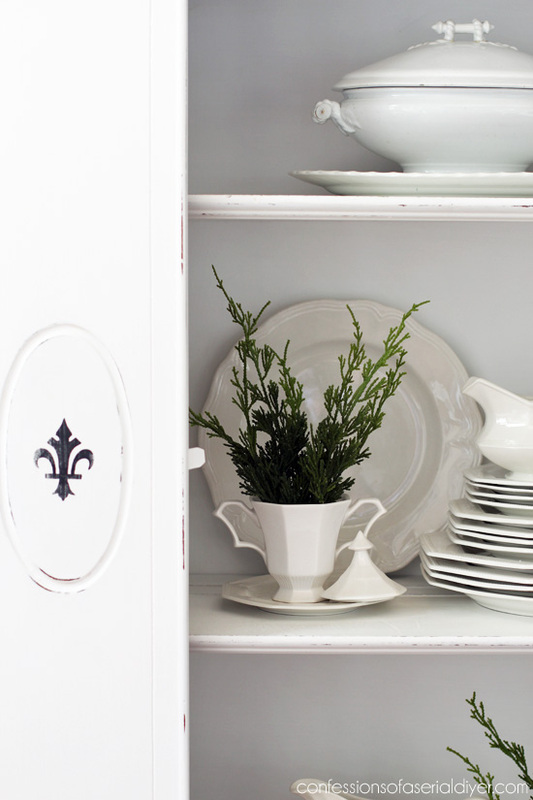 I am really so pleased with this cabinet makeover, and I love this inexpensive alternative to replacing the glass. 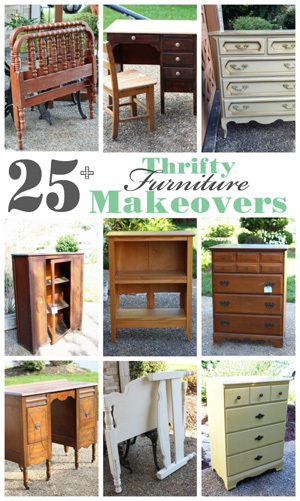 Several of my friends are also sharing furniture makeovers inspired by chocolate. 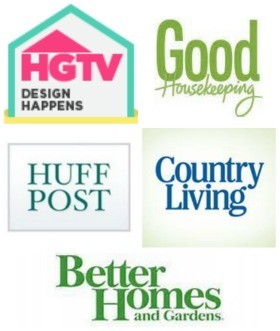 Visit them at the links below! 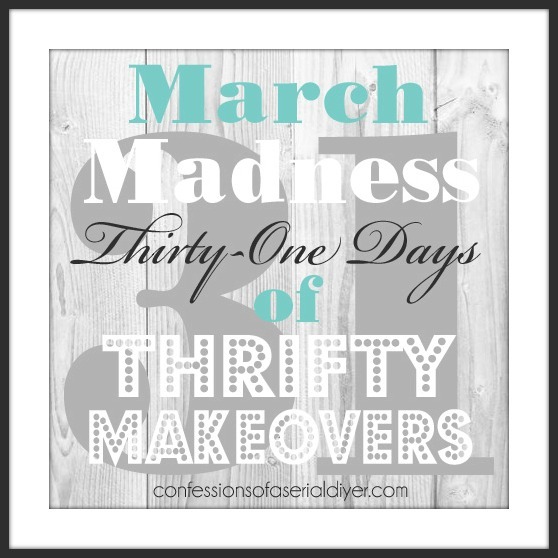 I’ll be back on Tuesday and EVERY day after in March sharing a thrifty makeover, 31 thrifty makeovers in 31 days!! It’s going to be fun! 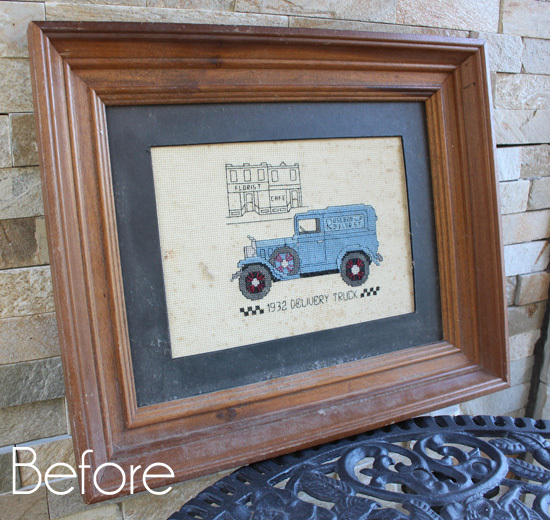 UPDATE: See this old picture makeover HERE! Hi Christy , J’adore it, it is so nice, original, delicate and beautiful…. you are really talented and inspiring…. CONGRATULATIONS. 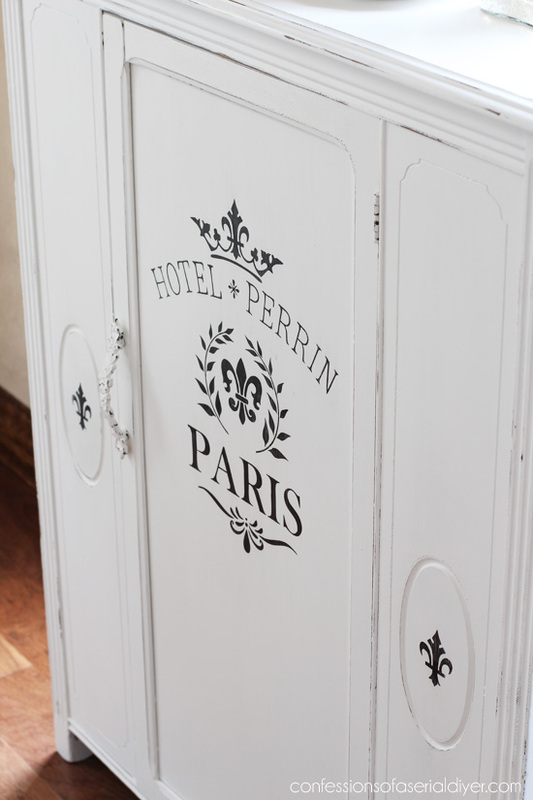 Did you paint the door panel, stencil it and then install it to the cabinet or did you install the panel and then paint and stencil? White chocolate…love it! (though I don’t really care for real white chocolate – ha!) Love the face that you made use of the empyt space and so createivly too. Great job, Christy! So pretty, Christy! I painted a vanity for my niece over the summer and I swear I’ve never seen a piece of furniture bleed as much as it did. It bled through every single primer I put on it. I wish I had thought of the wax trick! Definitely saving that one for next time. 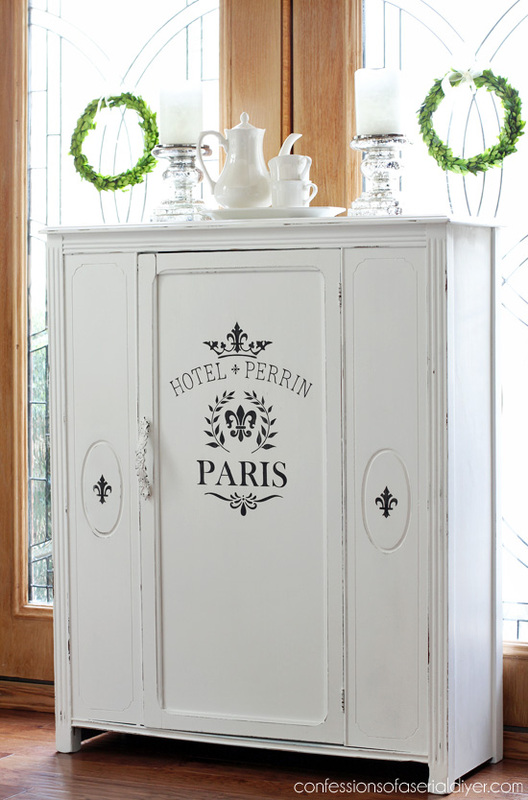 Love what you did with the cabinet, as always :). In spite of everything you went through it turned out fantastic. Some projects just seem full of problems but the end result is worth it. You find the best pieces! This is stunning! You made it beautiful! I love it! That looks so good , amazing how some paint and stencil just transform it. Will you sell this one ? For all your trouble, you surely came out on top. This is now a one-of-a-kind original. Art and function wrapped into one. I’m sure I will be referring back to your excellent tutorial many times. Congratulations on another great project! Beautiful job! I really love the design inside the door too. Christy, did you put clear wax on it and then wipe off before painting? 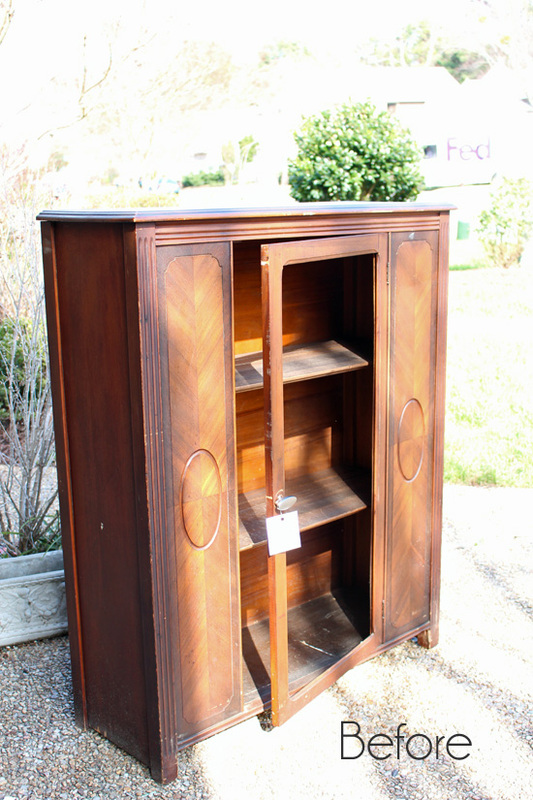 I have a hutch that I am having problems with bleed through. I have put two coats of shellac but it is still bleeding through. Hi Marie! There sure are some stubborn pieces out there! I waxed and then buffed it in, removing most of it just like I was sealing it. Waxing is definitely my least favorite part, but I was just so grateful it worked. Take care not to sand the flat surfaces too far down after painting over the wax because it will appear a bit darker in those areas. Hope this helps…good luck! THAT CABINET!! I am in love! 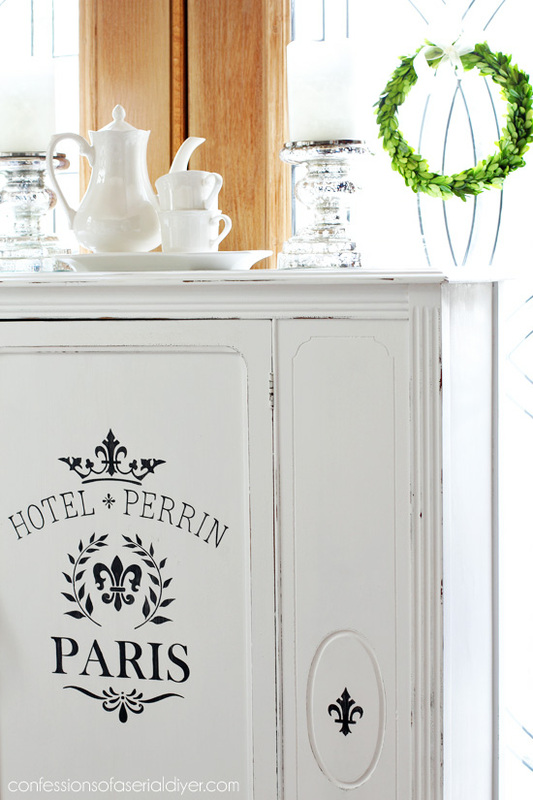 The French-inspired makeover was a perfect choice for this piece and I am drooling over the fabric you chose! Are you keeping it?! Aww you are so sweet, Maggie! Thank you!! I love everything you do and this is no exception. 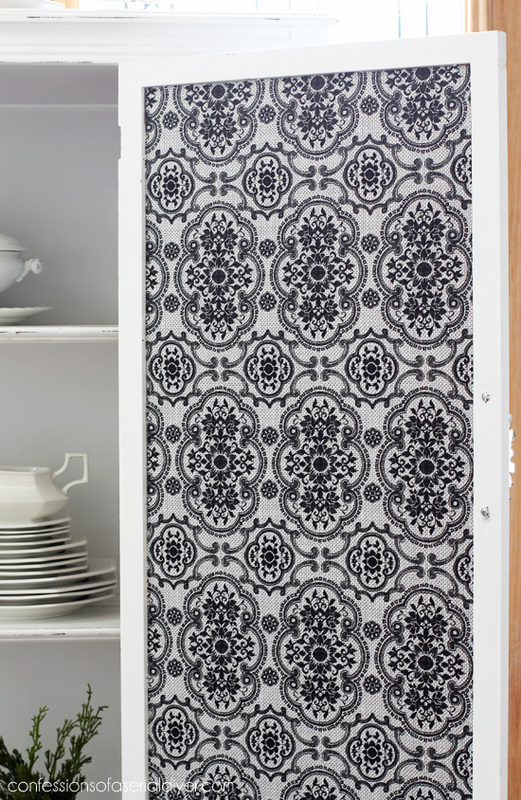 The stencil is great, but the fabric inside, umm…love!!! Hi Kate! I use a spray adhesive to hold it in place. I linked to the one I use in the post. I think it’s from Loctite. I also use a brush to apply the paint and brush away from the edges of the stencil as much as possible. 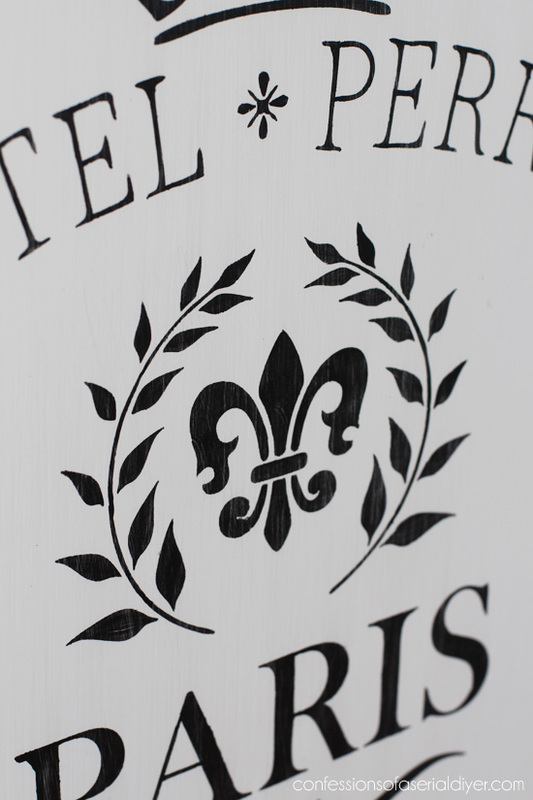 I usually need to do a touch up or two as well, I think that’s the nature of this stenciling business. Hope this helps! Your turned that great find into such a beautiful piece! Wow! The handle, the color, the stencil! I love it all! Wow – what a project this one was! I’m sure you’re glad it’s done after all that trouble it gave you. 🙂 It turned out so beautiful – I just love the fabric on the inside of the door. Plus, what a steal on the price. I love it when that sort of thing happens! 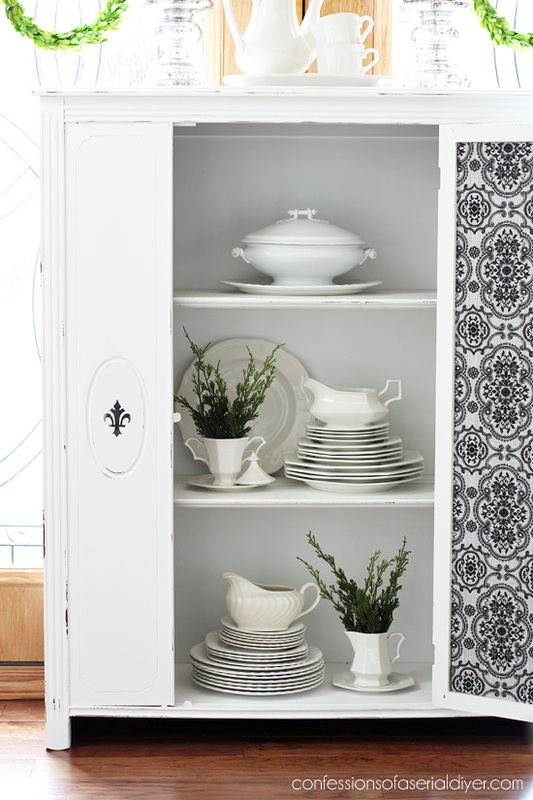 I love how your challenging chocolate inspired cabinet turned out beautiful. 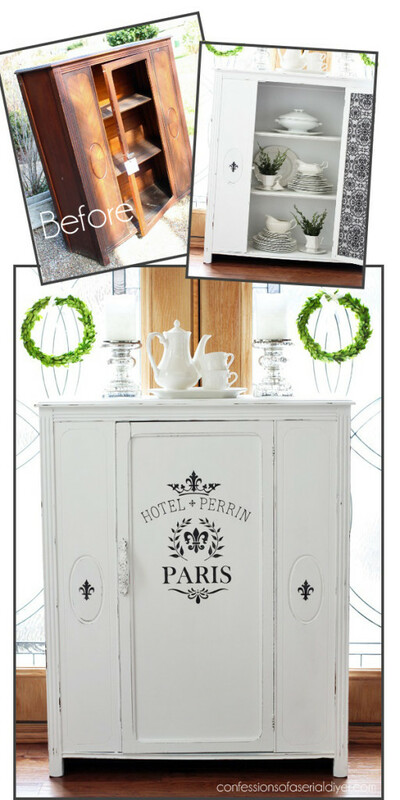 Wow, lovely–such a great makeover! Love, love, love it!! Great job and great find!! Oh Christy, drooling all over this piece! So sorry to hear about all the trouble it gave you, but hey, you came up with an awesome solution. Gotta save it in my book! Love it! It’s awesome Christy! The handle and fabric are icing on the cake — chocolate cake! 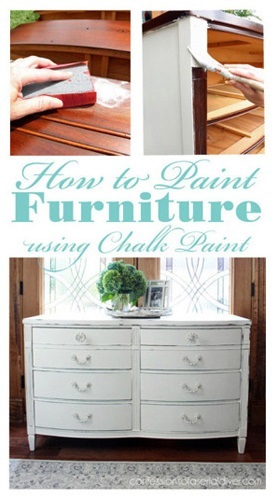 Who knew paint, fabric and wood furniture would work so well together. I never knew you could put fabric on furniture. I am inspired to try the technique. Thank you! What an amazing transformation! 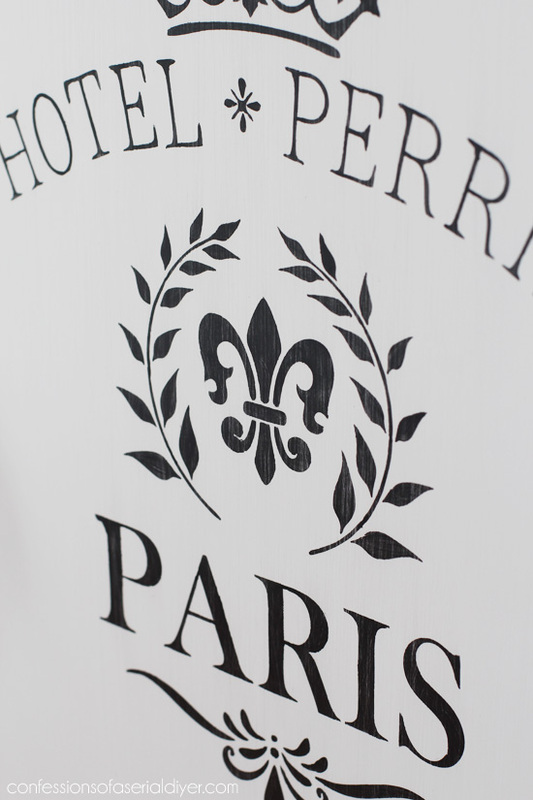 I love the French graphics that you used. 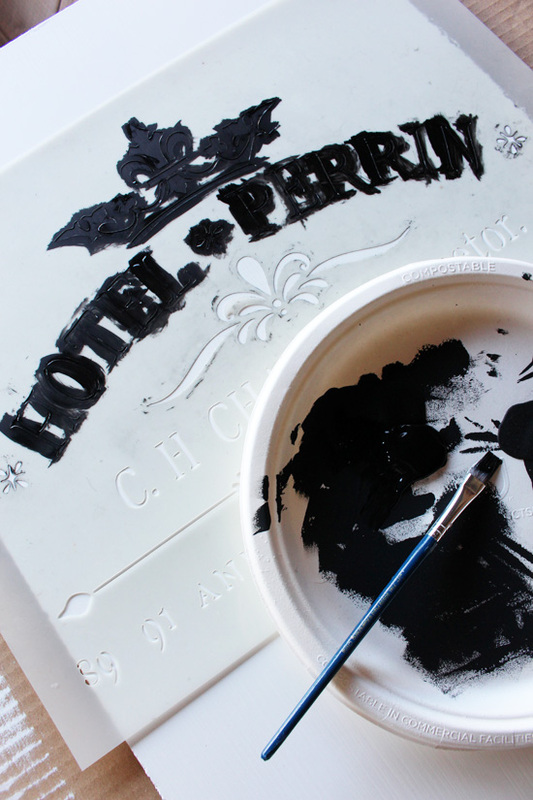 I know I’d much rather use a stencil any day over having to paint in tiny detail from a transfer. You had to have been so frustrated when the paint kept bleeding through. What a pain. Adding a door instead of keeping the glass was such a good idea. This should sell quickly! I just LOVE this so much! SO SO GORGEOUS! You did an amazing job. I know this will sell in a heartbeat! Who wouldn’t love to have this! You would never know you had all those problems Christy. The piece is gorgeous!! I love this one. Bravo! Love all the aspects of this beautiful piece Christy. It may have had a few issues to begin with, but totally worth it for the fabulous outcome. 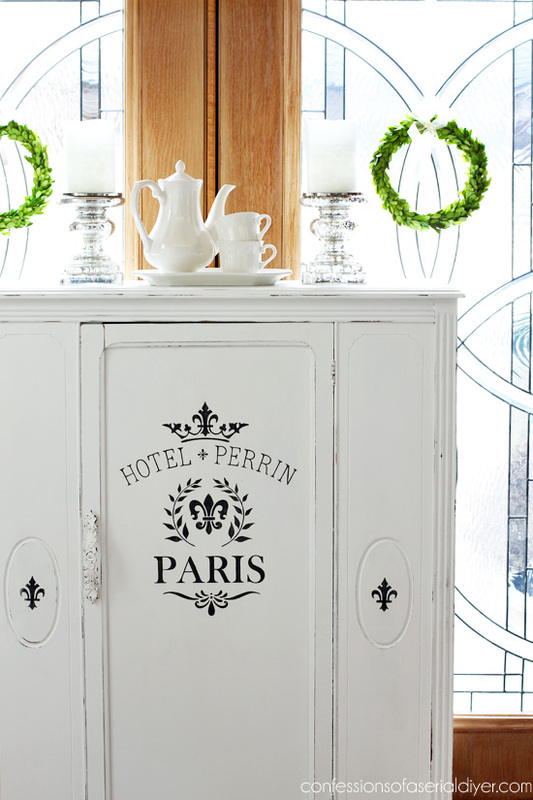 Love everything from the stencil to the back of the door… simply gorgeous! I’m delighted to be featuring your cabinet at Shabbilicious Friday tomorrow. I just had a cabinet I did and had major bleed through. 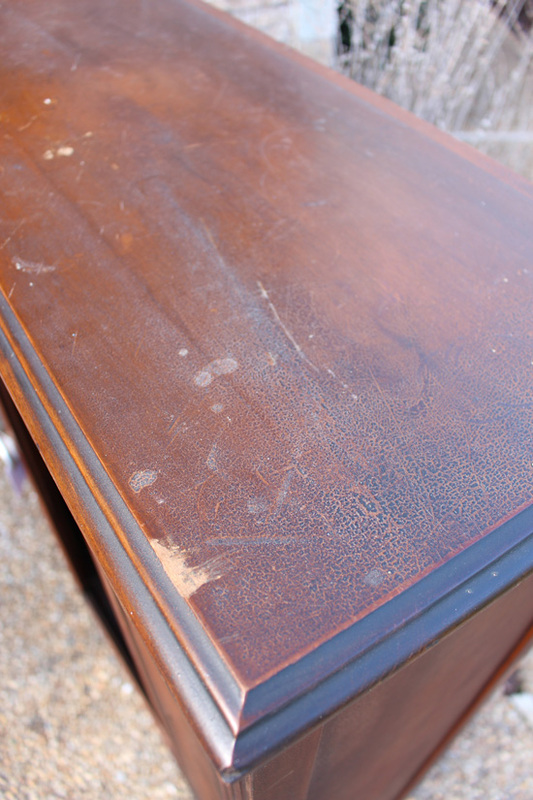 After 4 coats of chalk paint I had spots that still didn’t cover. I had a crusty black gooey something on the top of the cabinet and down the side that I sanded before I started and that’s where it was the worst. I used Citristrip and took off all of the paint I had just put on. While I was waiting for the Citristrip to work I noticed pools of oil here and there on the top of the cabinet. Tongue Oil. Somebody oiled it so heavy that even sanding wouldn’t get rid of it. I had to strip it twice before I no longer saw a trace of the oil. The paint then went on beautifully with only one coat and I love my “new” 1920’s cabinet. Isn’t always the best pieces that give us so much trouble? I’m glad you were able to get it done!